The truth and 'fake news"
In this age of the Internet and "fake news," the truth is often unseen, unheard and unbelieved. That's why I was so heartened by the words of Peter Mansbridge at the Canadian Screen Awards on March 11, 2018. 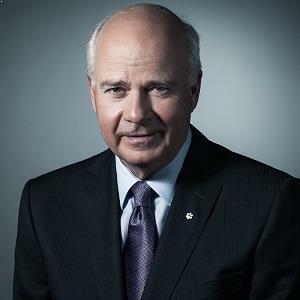 (For non-Canadians: Mansbridge is the retired chief correspondent for CBC News and anchor of The National, CBC's flagship nightly newscast. He held that position from 1988 to 2017). His stirring speech was inspiring. He said things that needed to be said. He was clear and unequivocal. In an era when the President of the United States has called the press the "enemy of the people," journalists need to be defended more than ever. They are not perfect, but democracy cannot exist without a free press. Those who support Donald Trump's views on the media should experience what it is like to live in a country where there is only state-controlled media and all news is censored. They should live in a place where news reporters behave like robots and trained seals. Peter Mansbridge's words need to be read.. That's why I have posted them on by website. See below. Most of the challenges that we journalists face are not news - budget cuts, changing technologies, new platforms and the constant pressure of the 24-hour news cycle. But journalism is under threat in a way that we haven't witnessed before The very principle that we stand for is under attack. Truth. Truth is under attack from those who've decided to label hard-working professional journalist who tell real stories as fake. Nothing is more sacred in our industry than the truth. You cannot argue with the truth, no matter how hard you try. So, finding it, speaking it, sharing it, is all that matters. And we need to be prepared to risk everything to do that because power unchallenged too often becomes power abused. So, we need to fight. We need to fight injustice with facts and we need to battle bullies wit facts. Not for ourselves. We don't do this for ourselves. We do this because we believe that when people are armed with the truth, they can make better decisions for themselves, for their communities and for the world. The truth is what matters. The truth is all that matters.